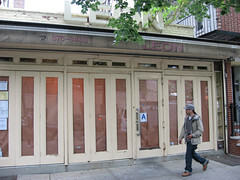 Stephen Rex Brown Ducks Eatery will open in the old Resto Leon space on East 12th Street. The chef from the trendy ping pong bar Spin plans to open a new creole barbecue and seafood joint on East 12th Street in the next four to six weeks. Crispy pig ears, yakamein (a New Orleans noodle soup), shellfish, braised pork spines, and peppercorn briskets injected with cachaca and apricot preserve are all planned for the menu of the new restaurant, called Ducks Eatery. On Saturday, Michael “Bao” Huynh, the chef-owner of Baoguette as well as the short-lived D.O.B. 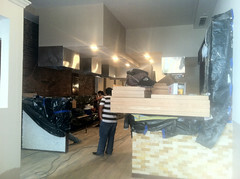 111 – both on St. Marks Place – was putting the finishing touches on his latest endeavor. The notoriously prolific restaurateur told The Local that BaoBQ would open at 229 First Avenue, between 13th and 14th Streets, this Wednesday.